Hey, hey, it's Sunday! We got a cool front last night here in South Texas and it FINALLY feels like fall around here. Temperatures are slated to be in the mid-60's today and that is awesome. Gotta enjoy it while it lasts because we are predicted to be back in the 90's by this Friday. *sigh* Ok, enough about the weather...you came to see a card, right? 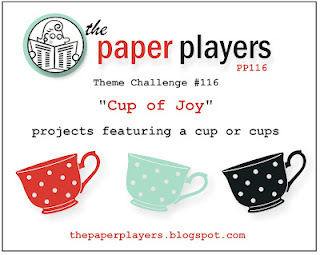 This week at the Paper Players, the lovely LeAnne has a fun theme challenge for us: Cups! Lots of cups! Please join us! 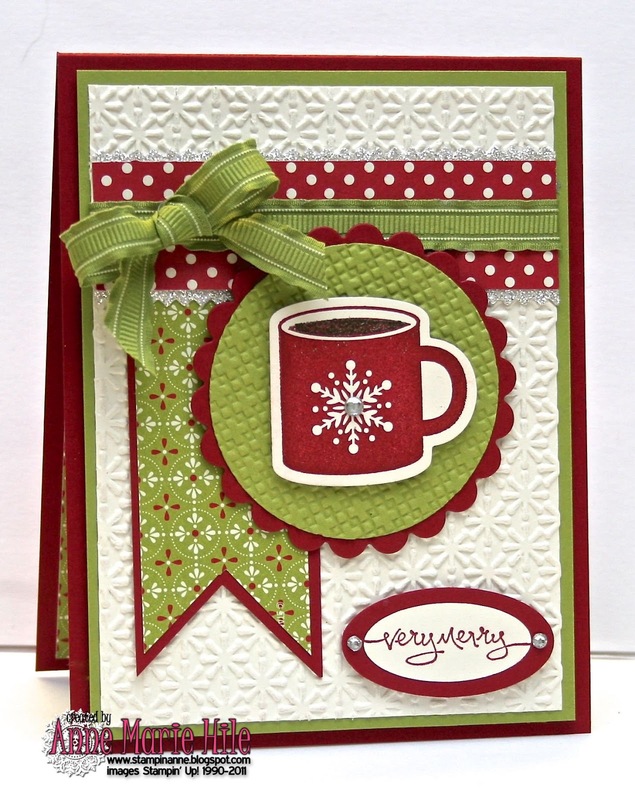 For my card, I decided to feature some Christmas coffee. I love the Scentsational Season stamp set and the fact that it has coordinating die cuts. I used the layout from Freshly Made Sketches for inspiration. 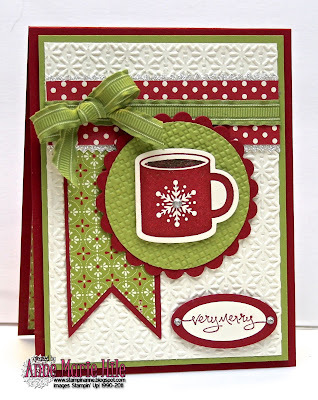 I used an embossing pen to shade in the "coffee" portion of the stamp. I then heat embossed it with Early Espresso Embossing Powder. Holiday cards are such a great excuse to use Glimmer Paper, so I added a little sparkly silver trim to one of the layers. All of the supplies I used are listed at the end of the post. Here's a quick shot of the inside of the card, with a sentiment from the Cheers to You stamp set, because it was on my desk from yesterday's card. Please join us this week at the Paper Players! Our challenge closes on Friday October 12th at Noon (PDT). The rest of the gals on the Design Team has created some fun projects, too. Stop by and share some bloggin' love! Wonderful card! I hope to play along this week. Love this almost as much as the weather today. :) And I guess I need EE embossing powder to make my coffee look cool like yours. OH I love how you used embossing powder for the coffee! Brilliant! Isn't that stamp and die set fun?! So glad SU! created it! Enjoy your weather. I'd be thrilled with some 90 degree heat after being below freezing here a few nights....lol. Although I wouldn't want it to last as we don't have central air. Can't win eh? Hope you're doing better and mending well. I thought that was a tricky sketch and you used it with the cup perfectly! Love how this turned out! Beautiful for the holidays! This card is just beautiful Anne-Marie! I think you and Ann Schach are in a running for who I want to create like when I grow up!!!! I love those colours and all that texture! Such a fun Christmas card! Thanks for joining us this week at Freshly Made Sketches! AM - awesome job tying the two challenges together. You rocked them both. Love the idea for the coffee. Fabulous card! 60..... oh.... its currently around 46 here! At least its not going to get back into the 90s anytime soon around here! Such a sweet creation....love that inside too! Love that you used the FMS sketch!! I am sitting here freezing, with a blanket wrapped around me....that is how cold it is here. I think if I had a cup of something, I would put my toes in it!!! Thanks for such a sweet "cup"! Hi Anne Marie, what a fabulous card ... I love the use of that cup and love all that glorious texture! Great to see you at Freshly Made Sketches!!! What a sweet treat card! 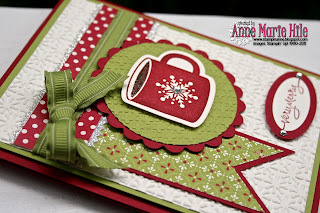 Great colours and I do love that embossing folder (note to self, add to shopping list!). What a yummy card! Love the papers you chose! 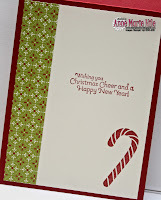 Wow - that embossing background is awesome!!! Perfect papers and I love that banner! It's ccccccold up here. Just walked my dogs and I can barely feel my fingers to type this! Oh what a pretty pretty card!!! Love the color combination and the wonderful elegant layers of the card....such a crisp look...BEAUTIFUL job ma'am!! A wonderful and lovely christmas card. Love the embossing and your layout. Great DP too ! I, too, thought this was a tricky sketch but you rocked it! Love all the "vanilla space" as well as the textures and layers that are the hallmark of your style! What a stinkin' clever way to emboss the coffee too--genius, girl! Love it all! Send some of that cooler Texas weather our way--it was 86 degress today! Ugh. Absolutely stunning! I LOVE the texture! The rhinestone is the perfect touch! 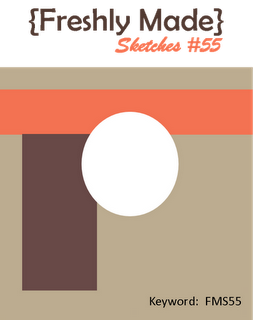 Thanks for playing at Freshly Made Sketches! Dear Anne Marie. How is it, that you can transform any image into a the perfect card, layout and all.. This card is so beautiful! You keep amazing me. I so love your blog and I am always looking forward to your next creation. What a great, little, wintery mug, Anne! And I just love the design, texture, and the way you finished the inside, too! Just perfect! This is such a fun Christmas card! I love the papers and colors with the hint of glitter! The embossing is one of my favorites too! Love this Anne Marie! 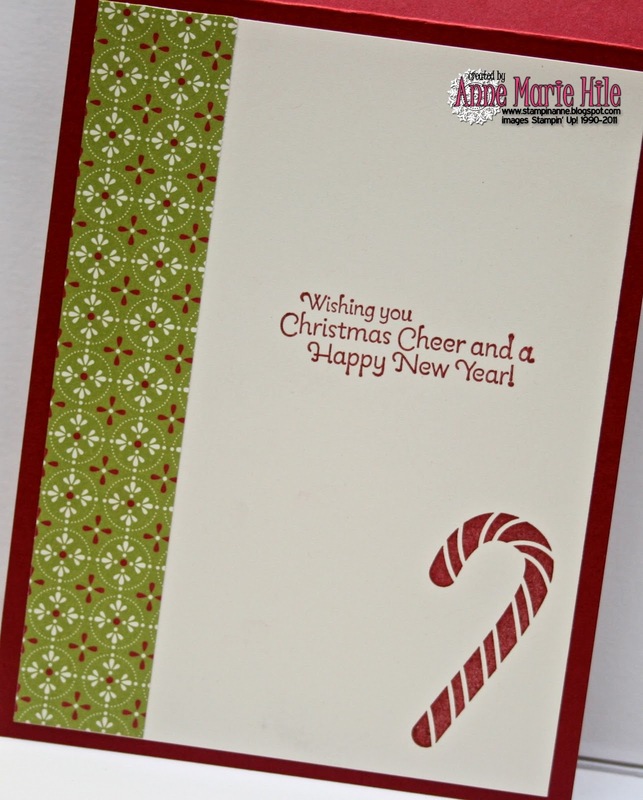 Great layers of dsp with the embossed background, and I love the touches of sparkle! Oh I just love this card Anne Marie. It makes me want to run out and grab a nice hot cuppa! I am in love with that mug and the colors are just perfect!